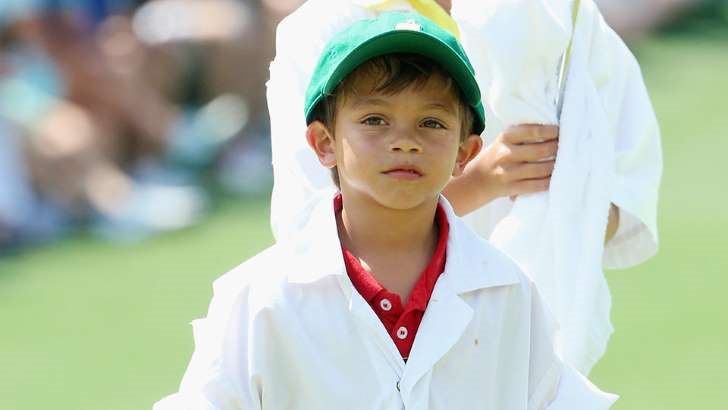 Tiger Woods' adorable 7-year-old son Charlie Woods is a golfer like his dad. He finished T2 at his junior golf tournament in West Palm Beach, Fla., Friday, with a finishing score of 19 over par. The last time his father, Tiger Woods finished T2 was at the 2013 Barclays. Charlie Woods played nine holes at Mayacoo Lakes Country Club, not far from the Woods' Jupiter Island residence. Charlie, who started on the 10th hole, had a tournament highlight of par on the 150-yard par-2. He's doing very well like his dad used to.